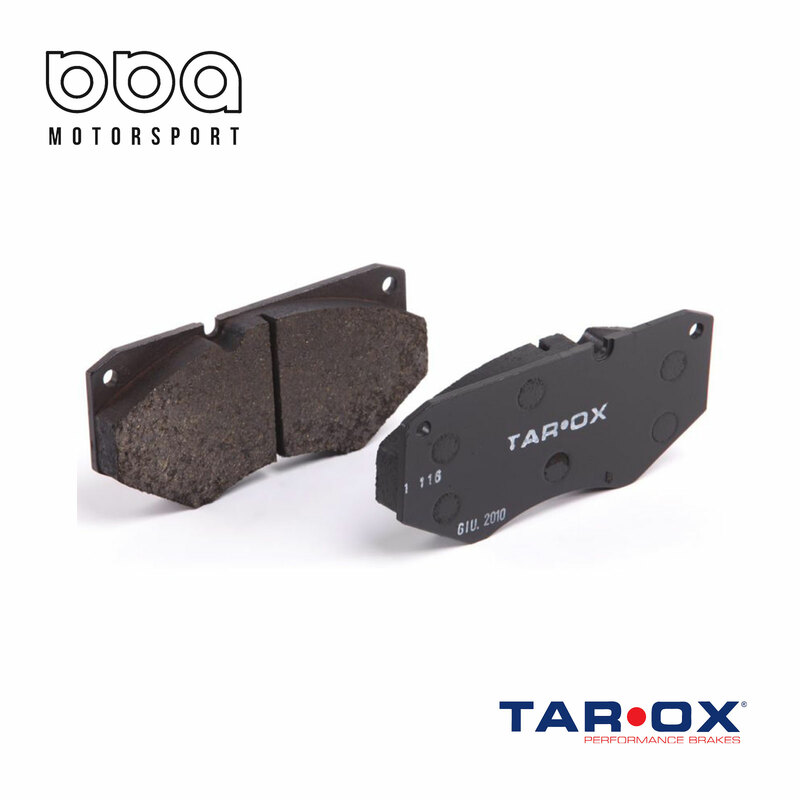 No matter what your requirements from a brake pad TAROX will have something to suit your needs, whether it is for hard track day use or you just require a greater quality pad for your daily driver. TAROX pads are made from the highest quality materials developed to meet and exceed European regulations. The Corsa pad is a great all – round pad, and although primarily intended for track day use, the pads can also be used to great effect for fast road use on more powerful cars. Corsa pads are still effective from cold and therefore give maximum performance at all temperatures. The high coefficient of friction gives amazing levels of pedal feel and massive amounts of bite, yet they are not hard on discs like some track type pads. Capable of withstanding temperatures of up to 800°C, this pad has an optimum temperature range of 200°C to 600°C.